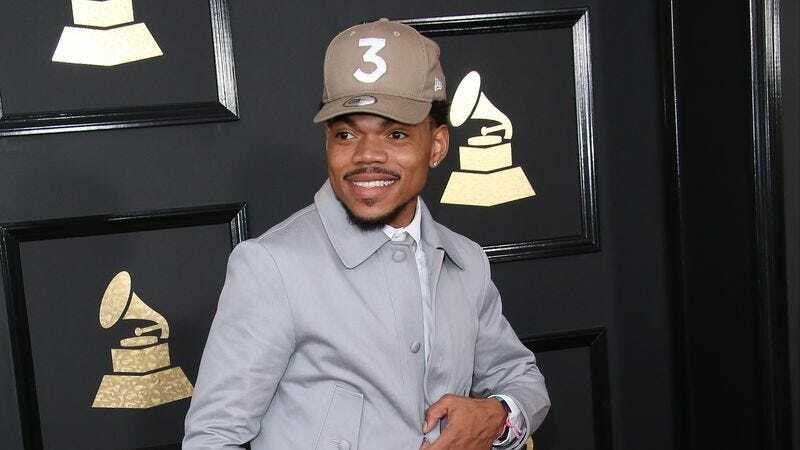 A few days ago, Chance The Rapper finally got the meeting with Illinois governor Bruce Rauner that he’s been trying to get ever since Rauner congratulated him on his Grammy wins in February, but the meeting didn’t go as smoothly as Chance hoped it would. Apparently, Rauner wasn’t especially receptive to Chance’s pleas for more funding for education in Chicago, with Chance mentioning that the governor only gave “vague answers” about what he could do. So, Chance decided to hold a press conference at Wescott Elementary in Chicago today specifically so he could talk about the city’s public schools and his plan to help them. After a brief introduction, Chance brought up his meeting with Rauner and mentioned that the governor had actually called him over the weekend, but he was still unable to offer anything that Chance thought was good enough. He then went on to note that the state of Illinois cut funding for teachers in Chicago while raising funding for teachers elsewhere in the state, and he explained that the city will be forced to cut the school year short by 13 days if the governor doesn’t intervene, leaving kids without adult-supervised activities and potentially putting them in danger. So, since the governor isn’t going to help the children of Chicago, Chance is donating $1 million to the city’s public schools, with the money coming from ticket sales as part of an agreement between LiveNation, Ticketmaster, AEG, and various independent promoters and venues across the country. Plus, anyone inspired by Chance’s decision to be proactive in the community can also donate to the city’s public schools at this link, and Chance’s Social Works nonprofit will throw in an extra $10,000 to specific Chicago schools for every $100,000 in donations—starting with the initial $1 million. That means 10 schools are already getting $10,000, with the first check going to Wescott Elementary.